Most men have no idea how to style a beard that will not only compliment their personal style, but suit their face. Generally, the beard is a symbol of manliness, but not groomed right, you have all the chances to go from man’s man to caveman. There are far more facial hair styles than we actually need to know about, because most are far too eccentric, and they actually might have the opposite effect you’re trying to achieve. Facial hair should have two roles: the first is to correct any flaws of your face, if needed, and second, it should suit your face-type. 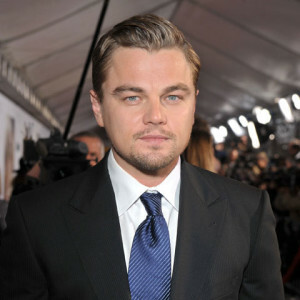 As a guideline, men with wide or round faces, should try to sport facial hair that will make their faces look thinner. Men with oval faces have a free pass to any style of facial hair, but attention to details is the keyword for them. This is why we will look at the best facial hair styles, so you can decide which is best for you. This is a facial hair style that will look good in any decade. There are many examples of men who sport such kind of facial hair, like Kanye West, Denzel Washington and Leonardo DiCaprio. The short circle beard is an intelligent and good looking way to conceal skin that’s prone to breakouts or sculpt a soft jawline to make it look more masculine. However, if you’re a lazy person don’t even bother growing a short circle beard as it requires a lot of work in order to look great. The maintenance will include trimming, shaving and shaping. You can use Philips Norelco 1280X SensoTouch 3D to do all of this with ease, as as it has a number of functions that will allow you to be creative. 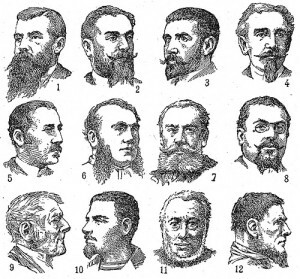 This facial hair style has been around in one way or the other for centuries. It has gone through some processes of transformation and adaptation over the years. It started out as hair on the chin but today it’s much more likely to see it accompanied by a mustache. It’s surprising versatility makes the goatee one of the most used facial hair styles. It can be worn either in a slightly disordered fashion or it can be very sharp and groomed to perfection, whichever suits you best. To turn from one look to the other it might take about a week if you have a high rate of hair growth. Use an electric razor to trim your goatee to a precise length. You could pull this look off even if you have a certain dose of laziness because it doesn’t matter if you don’t trim it daily, as long as you make sure that when you do trim it, you do a precise job, you should be fine. The one facial hair style that fits pretty much every face type, is stubble. Whether you sport a more disordered look or a well groomed one, you can’t go wrong either way. You can adapt your stubble to advantage or accentuate some facial treats. For instance, if you have a wide face you can keep your stubble shorter on the sides than in the front, this way making your face look less wide. It’s appealing to women because it gives your entire look a more rebellious effect. Most men appreciate it because it is low-maintenance and although looking just as manly as a full beard it requires less of a commitment. Don’t forget to trim your facial hair once every few days. This can be done very quick and easy with a beard trimmer. It might be the facial hair style that is the easiest to maintain. In certain circles dyeing or highlighting facial hair comes into style once in a while. Natural color, on the other hand, looks always great and is always in style. On top of that, you won’t ever have to face the disaster of trying to correct a home-made dye job gone wrong. You should never try to complicate your life with pointless stuff. If you’re turning gray and thinking about changing the color of your facial hair just take a look at George Clooney’s salt-and-pepper look and draw the conclusion. Men age beautifully, and your hair turning gray might just do miracles, giving you a more distinguished look. Should you opt to dye your facial hair anyway, my advice is you should let a professional handle it.